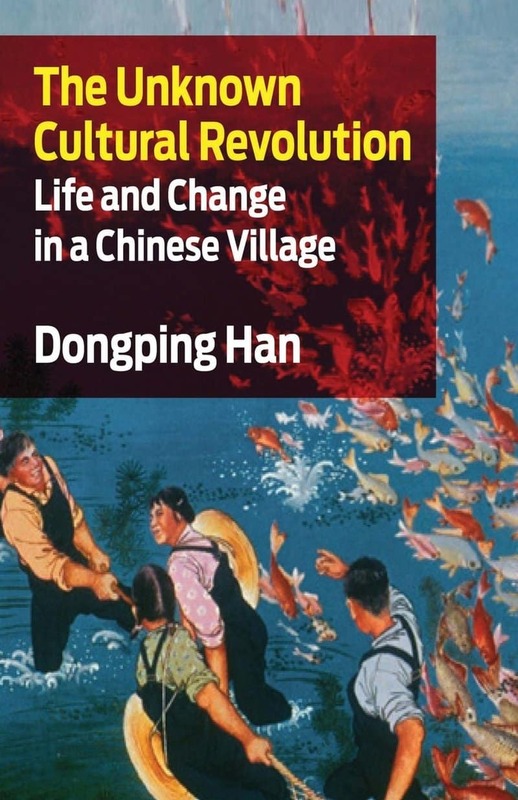 While these societies were able to claim major achievements in areas from health care to education to popular culture, the separation of thinking and doing prevented workers from developing their capacities as fully developed human beings. The relationship within “real socialism” between the vanguard as conductor and a conducted working class, however, did not only lead to the deformation of workers and those elements necessary for the building of socialism; it also created the conditions in which enterprise managers emerged as an incipient capitalist class, which was an immediate source of the crises of “real socialism.” As he argued in The Socialist Alternative: Real Human Development, Lebowitz stresses the necessity to go beyond the hierarchy inherent in the relation of conductor and conducted (and beyond the “vanguard Marxism” which supports this) to create the conditions in which people can transform themselves through their conscious cooperation and practice—i.e., a society of free and associated producers. This is not a book for those who already know everything important there is to know about “Real Socialism.” For those fortunate souls who have inherited or adopted the eternal verities of particular political sects on the left, empirical footnotes that strengthen their claim to leadership are the principal tasks of scholarship. As a result, the central question about this book for them is likely to be, “Is he with us or against us?” In short, is this book good for the chosen? I presume, however, readers who begin with questions rather than answers. What was this phenomenon known as “Real Socialism,” or “Actually Existing Socialism,” a concept created in the twentieth century by the leaders of countries in order to distinguish their real experience from merely theoretical socialist ideas? What were its characteristics? How was this system reproduced? And why did it ultimately yield to capitalism without resistance from the working classes who were presumably its beneficiaries? Where fresh insights are rare, indeed, Michael Lebowitz provides a bundle of them. Although no one will (or perhaps should) agree with everything here, the book provides rich material for badly-needed discussion. ‘The owl of Minerva only flies at dusk’—it was Hegel’s old maxim that seemed confirmed when in 1991 the Socialist Register published Michael Lebowitz’s article on the nature of ‘real socialism’ amid its very demise. 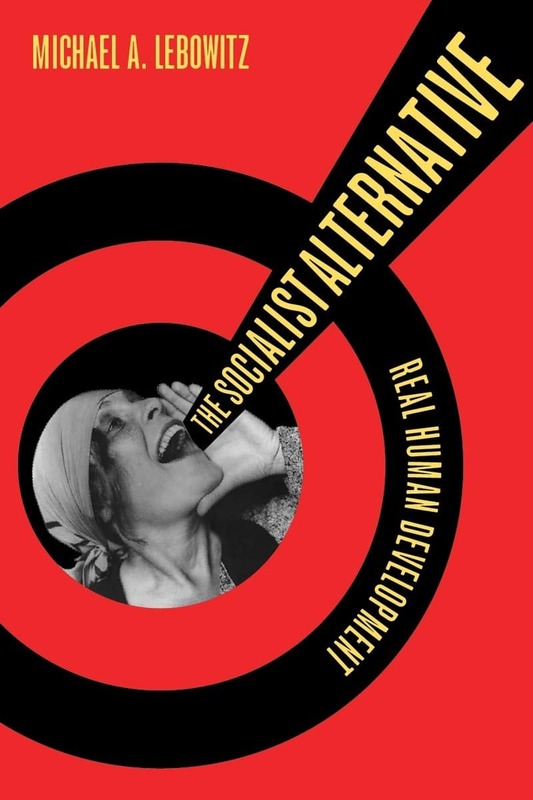 This new book takes off from there, but its wings are buoyed by Lebowitz’s work since then, from Beyond Capital to The Socialist Alternative. The profound understanding in this new book of why twentieth-century attempts at constructing socialism failed must be an essential element in the socialist renewal emerging amid the first great capitalist crisis of the twenty-first century. It thus appears that the old wise owl also flies at dawn. If we want socialism for the twenty-first century, we need to understand why the ‘real’ socialisms of the last century so often ended in capitalism. In this book, Lebowitz shows, theoretically and historically, that the socialism practiced in the Soviet Union and Central Europe was doomed because vanguard relations of production weakened the working class, ensuring that it would have no primary role in the battle ultimately won by the logic of capital (represented by managers) over the logic of the vanguard (represented by the party). We must, he concludes, reject vanguard Marxism and embrace a Marxist vision of socialism in which, from the beginning, the full development of human capacities is actively promoted. There is a lot to learn here. 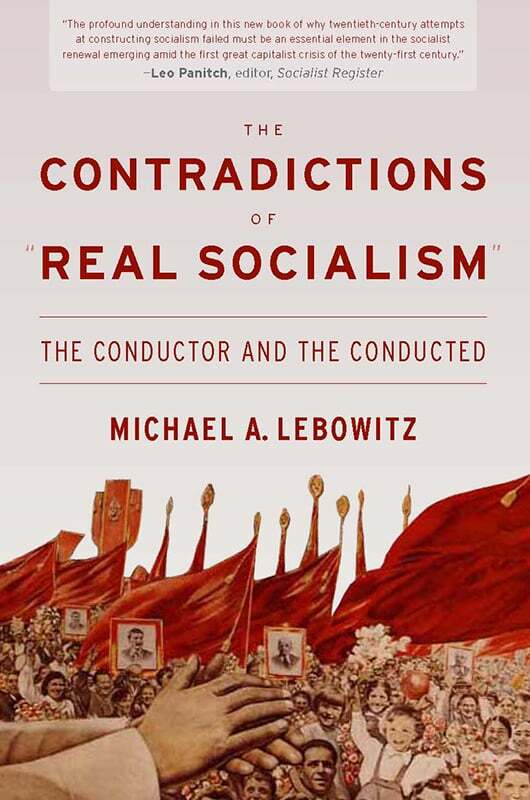 One doesn’t have to agree with all the theses presented in Michael Lebowitz’s latest book in order to acknowledge that this is a major contribution to the international debate on Socialism of the Twenty-First Century. 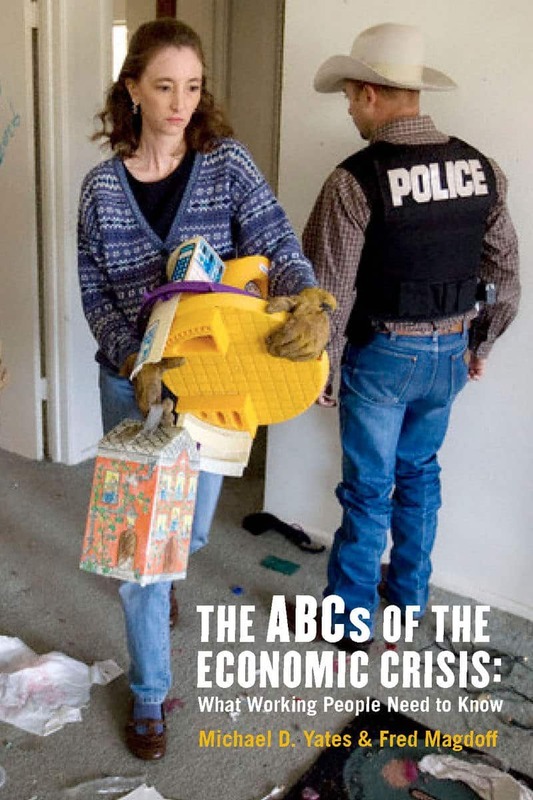 Drawing lessons from the dramatic failure of so-called “Real Socialism,” he argues, with powerful and persuasive logic, that a new society, based on values of solidarity and community, cannot be created by a state standing over and above civil society: only through autonomous organizations—at the neighborhood, community, and national levels—can people transform both circumstances and themselves. What would Marx have thought had he lived to see the Soviet Union? Nobody has interpreted Marx to greater advantage to answer this question than renowned Marxist scholar Michael Lebowitz, who explains in The Contradictions of ‘Real Socialism’ why Marx would not have been pleased! A riveting exploration of what can be learned from the first attempts to create socialist systems, specifically the period from 1950 through the 1980s. 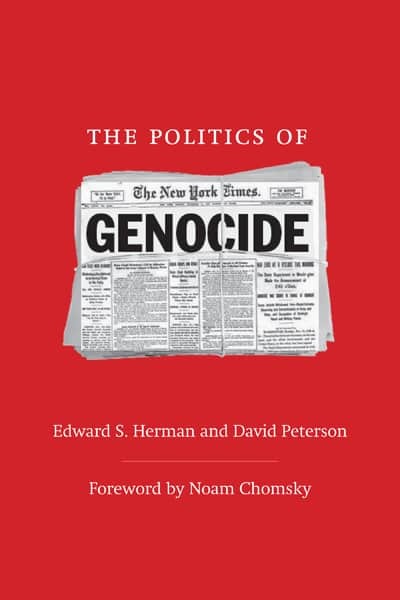 Lebowitz convincingly demonstrates that the distortions of the model developed in the Soviet Union and copied in eastern European countries (‘real socialism’) were caused by setting in motion two contradictory forces—ending up with the worst aspects of both capital and leadership and control by a ‘vanguard.’ He examines the development of ‘real socialism’ as a complex system, with the various parts explained and scrutinized in their interactions and interrelations as part of the system. Required reading for those interested in avoiding diversions and pitfalls in a post capitalist alternative—on the path to creating a system under social, instead of private, control in which the goal is meeting everyone’s basic needs and encouraging and allowing the full human development of all. We need this well-written book to understand that socialism did not die with the fall of the Berlin Wall. Michael A. Lebowitz is professor emeritus of economics at Simon Fraser University in Vancouver, Canada, and the author of The Socialist Alternative, Beyond Capital: Marx’s Political Economy of the Working Class (winner of the Isaac Deutscher Memorial Prize for 2004), Build It Now: Socialism for the Twenty-First Century, and Following Marx: Method, Critique and Crisis. He was Director, Program in Transformative Practice and Human Development, Centro Internacional Miranda, in Caracas, Venezuela, from 2006-11.